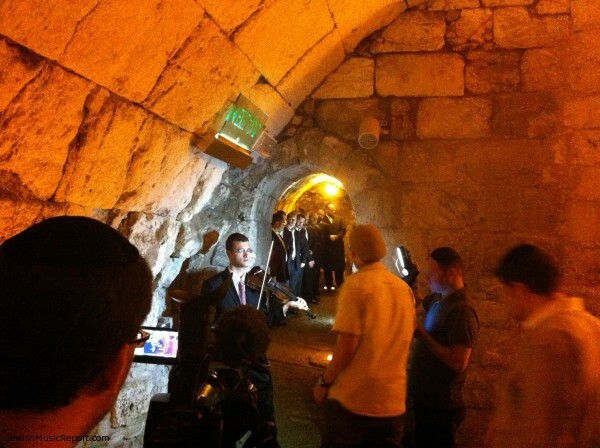 One night last week at the mysterious Jerusalem Western Wall tunnels a video was being filmed. Streets were closed to the public and replaced by camera crews and a producer, director, screenwriter, all male chorus as well as a children’s choir. The reason? A music video was under way featuring the debut of Chasidic singer Meir Gafni. This is all we know, as we get more information we will keep you updated.